Fanø is an island just outside of Esbjerg. After a short trip by ferry you can enjoy the beautiful scenery and the white beaches in relaxing conditions. 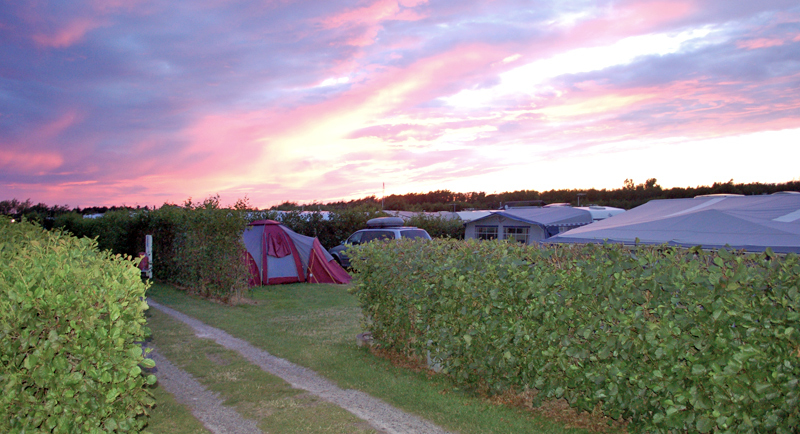 We have a great campsite with great facilities and plenty of opportunities for fun-filled activities around the island. We rent out sites on Færchvej and in Axel's Corner and Hollywood. On Færchvej, the sites are divided into parcels surrounded by hedges that provide good shelter, privacy and pleasant relaxation. Axel's Corner & Hollywood is less divided but still protected by green hedges and trees that form a nice plant belt. Places around Hollywood are very popular for families with children because our large playground is close by. In Axel's Corner, there is more space between the places and further distance to the neighbors. If the playground gets too hot, we have Denmark's most child-friendly beaches only 900m away from the campsite where you can go for a dip. Rengøring af grill 150 kr. Gæster der forefindes på pladsen uden for dette tidsrum, vil blive opkrævet alm. overnatningsgebyr. 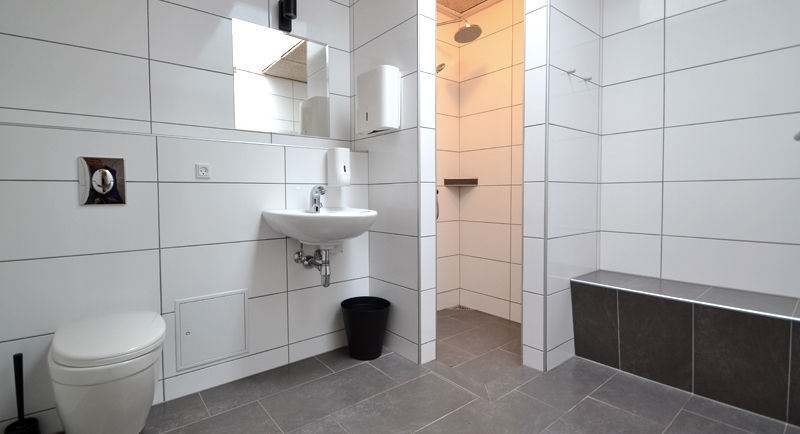 Rødgaard Camping’s sanitary facilities are modern and meet every camper’s wishes. We have two beautiful service buildings, which are furnished with large family toilets, baby rooms and lockable washbasins. One service building has been renovated in 2014 and now contains 3 separate toilets with hand basin, 4 large shower rooms and 3 large lovely family rooms. 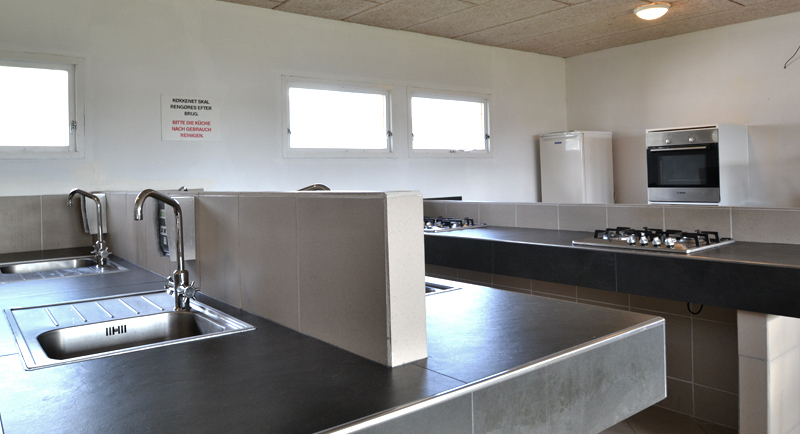 At Rødgaard Camping there are 2 camping kitchens. In service building south, there is a small kitchen. Outside, there are tables and benches decorated to enjoy your food in the open air. The large new kitchen is furnished with two indoor dining areas for 8 people. Here you can enjoy food and a glass of wine. Rules of the camp site. In a campsite, many people live on a limited area. They all have different habits and that is just a part of the charm of camping. For everyone to have a nice stay, we have gathered some information and rules of procedure. 1. The camp manager and his assistant (s) oversee order and are available if problems arise. The manager's instructions must always be followed. 2. Everyone who walks into the campsite is a day visitor. Daily guests must be registered at the office. Daily guests must use the campsite facilities during the period 08-23 (This does not apply to indoor playgrounds. This is the standard rate applicable). Guests staying on site outside this time will be charged the accommodation fee. 3. We ask you to show consideration to other campers, and note that noisy behavior is not allowed. Inferior guests with bad behavior will immediately be expelled from the place for the sake of other guests. In the period at. 23-07 there must be peace in the square. 4. During very wet periods of the season, it may be necessary to close for car driving at the campsite. We ask our guests to show consideration and park the car outside the square. Day visitors must not enter the place. Chip Cards for the boom are personal and may not be lent to others. During travel, all driving must be limited to the most necessary and this necessary driving must always take place at a speed of less than 10 km / h. We ask everyone to take extra care, especially around the office, the restaurant and the playgrounds. From kl. 23:00 till kl. At 07.00, all road traffic is prohibited. Note that the boom is closed during this period, so you will not be able to get in or out. Alcohol driving in the square will be reported to the police. 5. Use of any kind of weapon and fireworks is prohibited on site. 6. It is allowed to grill at the unit space, except for heavy winds. The barbecue must not be placed directly on the grass or on furniture belonging to the camping site. 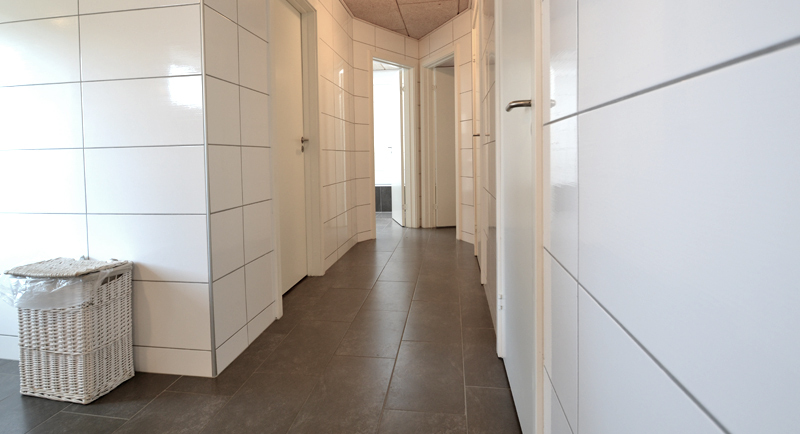 Lending tiles can be requested at the reception. At the refuse containers, there is a canopy for barbecue grill and barbecue briquettes. 7. Smoking in Rødgaard Camping’s buildings is not allowed. 8. For the fire hazard, there must always be 3m between the units. However, it is allowed to park their car in the space. Upon arrival at the campsite, we ask that our guests know where the fire extinguisher is located. There are also fire alarms all over the place, which informs about fire prevention. In case of fire or accident call 112 and inform the reception / camp manager. 10. The waste containers placed on the spot must always be used. Help to do something good for the environment - sort your waste. We have containers for alm. kitchen waste, cardboard & paper, bottles & cans. Refuse of empty packaging, cans, cigarettes or other garbage on the premises is not permitted. The area around the waste containers is monitored. 11. Children's play with water, laundry, cleaning of vegetables or the like. Official faucets are not allowed. Car wash is not allowed; however, the caravan can be washed by appointment with the camp manager. 12. The closing times in the outdoor play areas are complied with for the benefit of the surrounding guests. Play and ball games must not take place outside the selected areas. Ask the camp manager where! 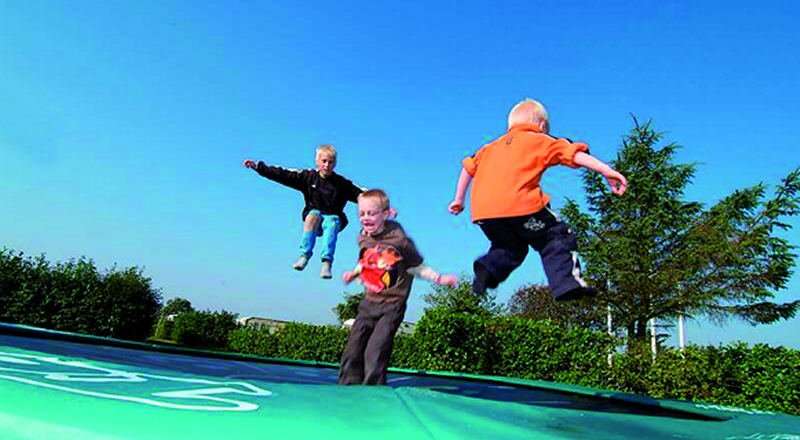 Rødgaard Camping's overnight guests under 12 years old and have an hour's free playground a day. Inquiry at the office / Café Axel. 13. It is allowed to have dogs or other pets in the place if they do not mind other guests. When staying on your own device, the pet must also be in line and must not be able to move out of here. Removals are removed immediately. The animals must be kept leashed and aired outside the campsite. Do not bring to the toilets. 14. On departure day, the rental unit must be vacated by noon. 12.00. Cabins and rooms must be vacated at. 11.00. The rental unit must be left in a tidy and proper condition. Your camping card is provided when you settle for your stay on departure. 15. Campsite owner and camp manager assume no liability for damage or loss of the property of the campers. Anyone who is injured in property, property, or co-campers may be liable under the general rules of compensation. Most camping guests are of course considerate in their performance. Sanctions against the few who do not comply with the rules of the court may be expulsion and, in serious cases, the involvement of the campsite.